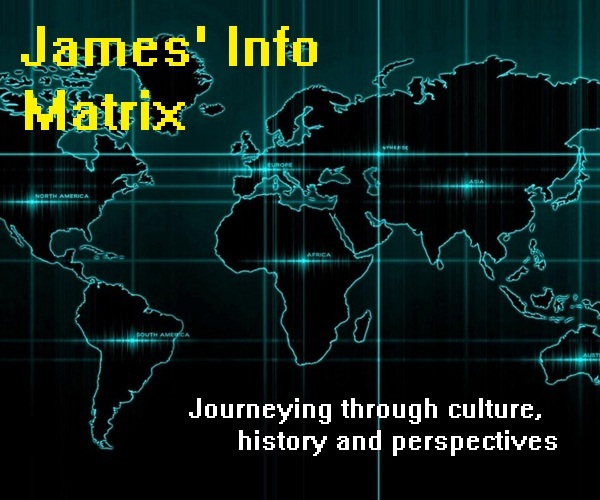 As discussed in the previous part of this article, mangas in the traditional Japanese society started to take a modern twist after the opening of Japan to the world in 1853. The influx of Western culture and particularly Western styles of comic art resulted in a unique blend with traditional forms of Japanese art, consequently giving rise to new and modern forms of manga that appealed to the masses. However, major shifts in Japanese politics resulted in increased militarism and authoritarianism that gradually led to Japan’s involvement in the Second World War, and to modify what U.S. Senator Hiram Johnson once said, “The first casualty when war comes is creativity.” With regards to manga, this could never have been truer, and mangas served as much a weapon as guns and bombs were to the Imperial Japanese Army during the Second World War. Nevertheless, Japan’s unconditional surrender in 1945 paved a new way for the manga industry to recover and progress in a whole new direction. Although non-propaganda mangas started sprouting out again soon after the end of the Second World War, it was not until a few years later when the manga industry was able to completely regain its pre-War momentum once again. Though not as prominent as the second father of modern manga, whom I’ll be discussing shortly after this, another individual of considerable prominence in the post-War manga industry deserves mention here. 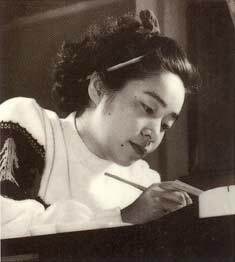 Known sometimes as the “grandmother of modern manga,” Machiko Hasegawa (長谷川町子, Hasegawa Machiko) (1920 – 1992) gradually came into the limelight with her popular manga series Sazae-san (サザエさん), which started publishing in 1946. 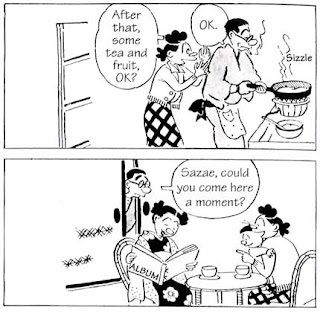 Sazae-san was a light-hearted manga that featured everyday life in the family of a young housewife. Hasegawa rose to prominence as the first female manga artist to have attained such renown in a male-dominated industry at that time, and her manga became one of the first few to have started publishing after the Second World War. In the years following the end of the Second World War, one man single-handedly altered the course of the Japanese manga industry forever. This man, whose groundbreaking style of comic art earned him an enduring ovation that lasts even up to now, redefined manga to be what it is today. Perhaps if it wasn’t for him, most of us would not even know what manga is, as it would not have attained the degree of popularity that it now enjoys. This man is none other than Osamu Tezuka (手塚治虫, Tezuka Osamu) (1928 – 1989), the great Father of Modern Manga. Unlike his predecessors, Tezuka was extremely revolutionary in his ideas for comics. While it was a norm for manga artists before him to derive artistic ideas from Western comics, he felt that such styles were too plain and two-dimensional. He sought to create a new style that would depict his drawings in a more lively and three-dimensional way. Having been heavily influenced by the animated motion pictures and the French and German movies of his younger days, Tezuka invented a new technique that aspired to incorporate cinematography into manga drawing. And indeed, it worked like magic. As you can see in the picture above, this is an extract from one of Tezuka’s earliest works to have incorporated his new cinematographic drawing techniques. Entitled New Treasure Island (新宝島, Shin-Takarajima), this work made its debut in 1947 and was inspired by Robert Louis Stevenson’s Treasure Island. With clever usage of pans, zooms and jump cuts, as well as appropriate utilization of sound effects, Tezuka managed to bring a sense of life and realism into his static drawings. New Treasure Island amazed many of its readers, who vividly described it as being akin to watching a movie on paper. 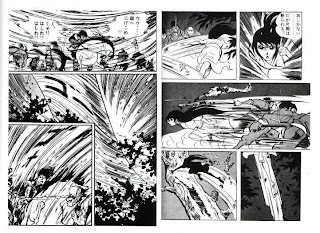 It was as if Tezuka had cut out successive scenes from a film and pasted it beside one another on paper to narrate an entire story. New Treasure Island was an immediate success that sold like hot cakes after its initial debut. When Tezuka produced his ingenious New Treasure Island, he was still enrolled as a medical student in the medical faculty of Osaka University. Nonetheless, because of his newfound talent in drawing manga, he was in a dilemma as to whether he should continue his medical studies or go into full-time manga drawing instead. He subsequently chose the latter after completing his studies and graduating, in which he later applied his medical knowledge in one of his most famous works, Black Jack (ブラック・ジャック, Burakku Jakku) (1973). Besides introducing new cinematographic techniques into the world of manga, Tezuka was also responsible for the unique “large eyes” style that has become a distinctive feature of manga and anime today. His inspiration to do so came mainly from several famous Western cartoons of his era, such as Betty Boop, Bambi and Mickey Mouse. 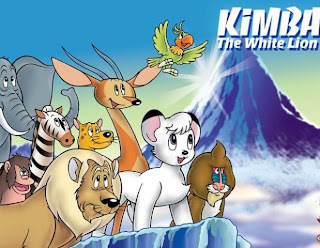 This, along with other unique artistic styles that he pioneered during his days, were evident in many of his famous works such as Kimba the White Lion / Jungle Emperor (ジャングル大帝, Jyanguru Taitei) (1950) and Astro Boy (鉄腕アトム, Tetsuwan Atomu) (1952). By and large, Tezuka’s works became major sources of influence and inspiration for his generation of artists, as well for generations to come. 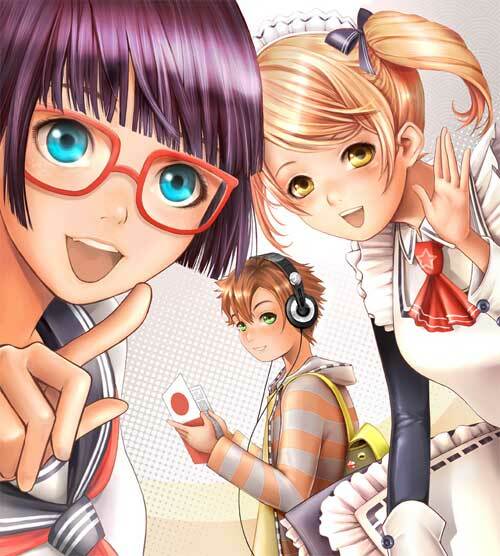 Unlike his predecessors, he believed that manga was a means to narrate any form of story and not just for the sake of creating happy stories for jokes and laughter. Based on this premise, he widened the scope of themes that mangas covered by creating various intricate plots in his later works, some of which did not necessarily have happy endings. 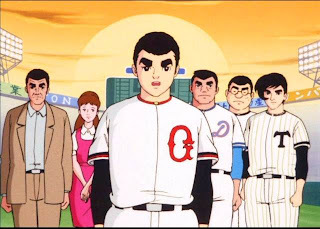 Tezuka’s rapid rise to fame soon gained him a following of young apprentices who later became giants of the post-War manga industry, such as Shotaro Ishinomori (石ノ森章太郎, Ishinomori Shōtarō) (1938 – 1998), Fujio Fujiko (藤子不二雄, Fujiko Fujio), Fujio Akatsuka (赤塚不二夫, Akatsuka Fujio) (1935 – 2008) and Hideko Mizuno (水野英子, Mizuno Hideko) (1939 – ). 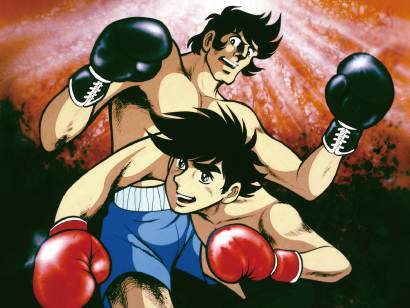 From the time Tezuka made his debut in the manga world, the manga industry no longer developed in a linear fashion like before. Instead, mangas started to evolve in several directions, paralleling one another in time but sometimes eating into one another’s market and popularity. Because all these different branches of manga existed and developed more-or-less simultaneously, I will be discussing them one by one to avoid confusion, but I would like you to always bear in mind that they took place within approximately the same time frame. After 1950, mangas shot up in popularity throughout Japan, spurring further the development of the industry. Around the year 1957, a new sub-genre of manga known as gekiga (劇画) emerged and made its headway among the masses. 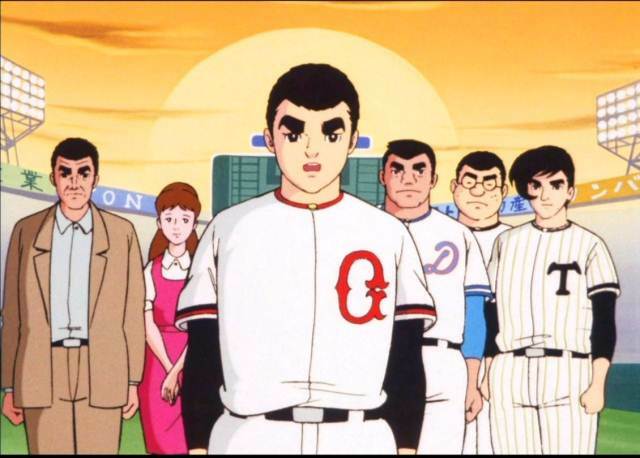 Gekiga, which literally means “drama pictures,” was a term used to refer to mangas that featured a deeper, more dramatic and more serious storyline. Such mangas tended to portray more realistic and matured drawings, involving darker and at times violent plots. 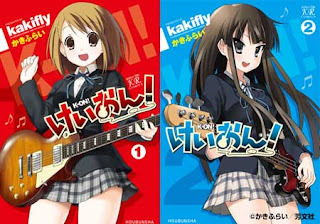 They appealed more to adults and encouraged the rapid growth of the manga rental store or pay library business that featured such books on their shelves. The widespread success of gekiga in the late 1950s consequently established the fact that manga was no longer a genre solely for children, in addition to laying the foundations for the subsequent growth of seinen (成年) mangas catering for adults. In the late 1950s up to the 1960s and beyond, manga anthology magazines also became the public trend. 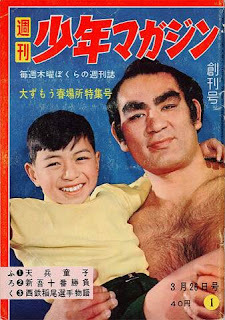 Although several such magazines had existed and were already in circulation by the early 1960s, none stood out more than both Shonen Magazine (少年マガジン, Shōnen Magajin) and Shonen Sunday (少年サンデー, Shōnen Sandē), which commenced publication in 1959. 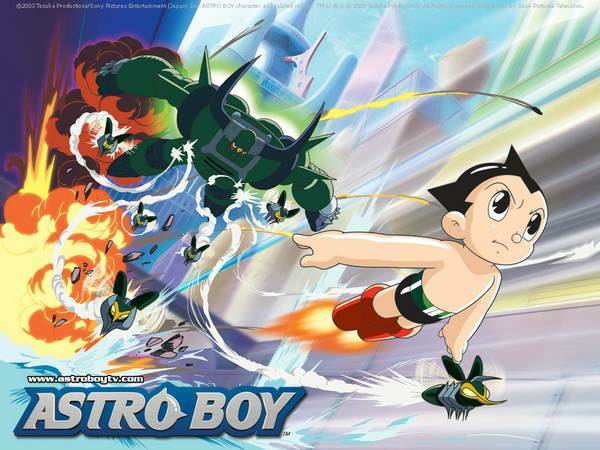 These weekly magazines, which featured a collection of various manga serials and stories in them, catered primarily to the shonen (young boy) community. Sales of these two magazines were somewhat average and did not stand out much initially, perhaps because they were more educational than entertaining in nature. However, it did not take long for the publishers to realize that they could rocket their sales by reducing educational content and increasing space allocation for mangas in their magazines. Indeed, that was exactly what they did, and it worked to their expectation. Nonetheless, it was two famous stories published in the two magazines respectively that changed everything: Star of the Giants (巨人の星, Kyojin no Hoshi) in Shonen Magazine in 1966 and Joe of Tomorrow (あしたのジョー, Ashita no Jō) in Shonen Sunday in 1968. 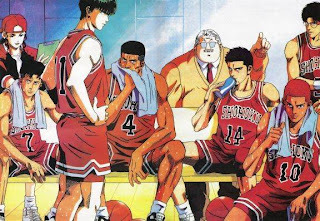 These two sports-themed mangas were undoubtedly great successes, and they torpedoed both Shonen Magazine and Shonen Sunday up the ladder of fame in the following years. Besides Shonen Magazine and Shonen Sunday, Shonen Jump (少年ジャンプ, Shōnen Janpu) was another renowned magazine that came into the picture in the late 1960s. Commencing publication in 1968, Shonen Jump started off small between two giants in the shonen manga market, but the magazine soon caught up and became a great competitor to the other two. This was especially after it started to feature one blockbuster manga after another, the most famous among them being Dragon Ball (ドラゴンボール, Doragon Bōru) in 1984 and Slam Dunk (スラムダンク, Suramu Danku) in 1990. Although these three weekly magazines are still in circulation up to now, Shonen Jump is said to have outstripped the other two in popularity since the 1980s.